March 2013, Jericho. The cable cars leading to the temptation mount, used by the foreign tourist as much as by school trips. 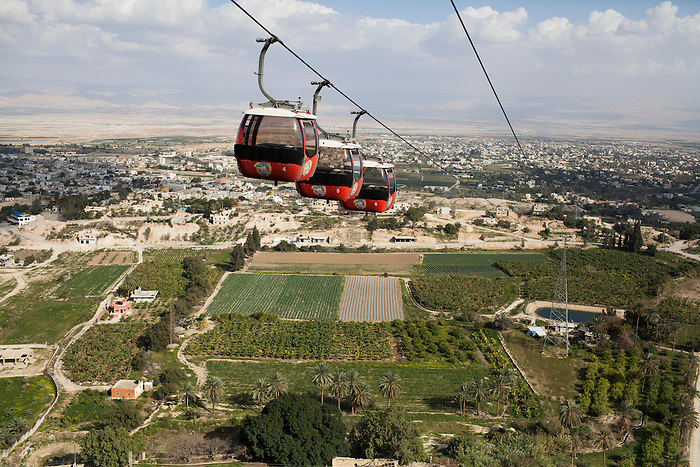 Jericho is the most fertile city in the West Bank and the only place in the Jordan Valley controlled by the Palestinian authority. The rest of the valley is controlled by Israel and many settlements in this area take control on the water resource at the expenses of the Palestinian farmers that find themselves obliged to buy their water to Israel: in average, Palestinians consume 10 times less water than their Israeli settlers counterparts, yet are obliged to pay ten times more.